A new and exciting opportunity to embark on a leadership programme that has national qualifications, cutting edge content and inspirational facilitators. 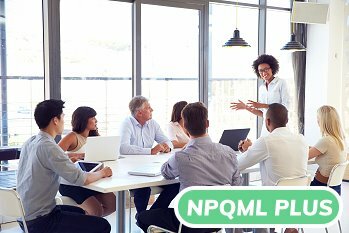 Leading Schools South West [LSSW] is delighted to offer a new and innovative programme opportunity for aspiring and existing middle leaders, NPQML PLUS. It is a joint venture between LSSW, a DfE National Licence Provider, and Skills Training UK, a national Apprenticeships training provider with a proven track record of working with major employers. This new qualification will enable schools to fund the programme through their Apprenticeship Levy which is currently top-sliced from their budgets, or, for smaller schools, through the Education and Skills Funding Agency. This new programme combines the National Professional Qualification in Middle Leadership (NPQML)* with a Chartered Management Institute (CMI) Level 3 Diploma in First Line Management**. ** The CMI Diploma in First Line Management is developed for managers who wish to build on and develop their existing skills and knowledge. This qualification will help to provide participants with the communication and motivational skills to help improve performance and efficiency in a school environment. If you have any questions, we’d love to hear from you. Either complete the Enquiry Form below or call us on 01752 636700 Ext 5706.